UA President Robbins, with Jane Swicegood, attended the ceremony. 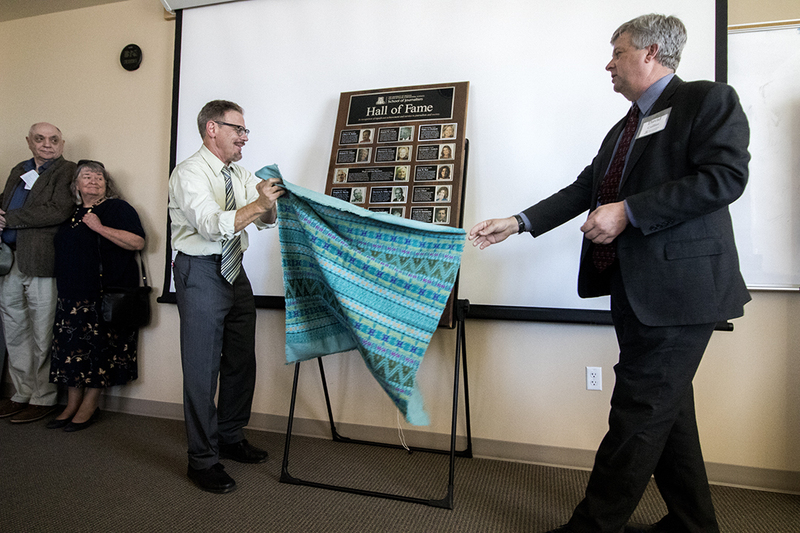 Director David Cuillier and Mike Chesnick, outreach coordinator, unveil the school's Hall of Fame plaque. Melissa Murphy (center), daughter of inductee Sherman R. Miller 3rd, talks to David Carter and Bobbie Jo Buel. 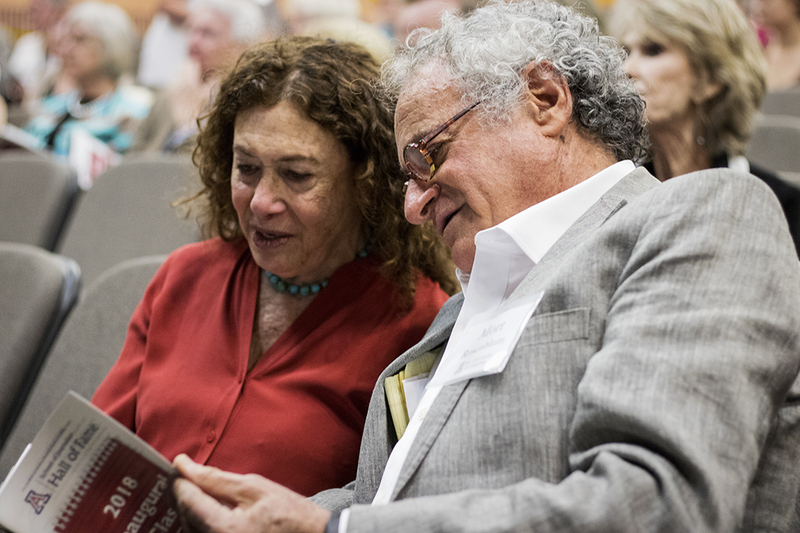 From Pulitzer Prize winners to trailblazing faculty, 14 individuals and two couples were inducted into the inaugural University of Arizona School of Journalism Hall of Fame on April 7 for their significant achievements and service to journalism and society. The 2018 class includes Douglas D. Martin, Sherman R. Miller III, Donald W. Carson ('51) and Jacqueline E. Sharkey ('72), former directors of the school, which began in January 1951 as the Department of Journalism. 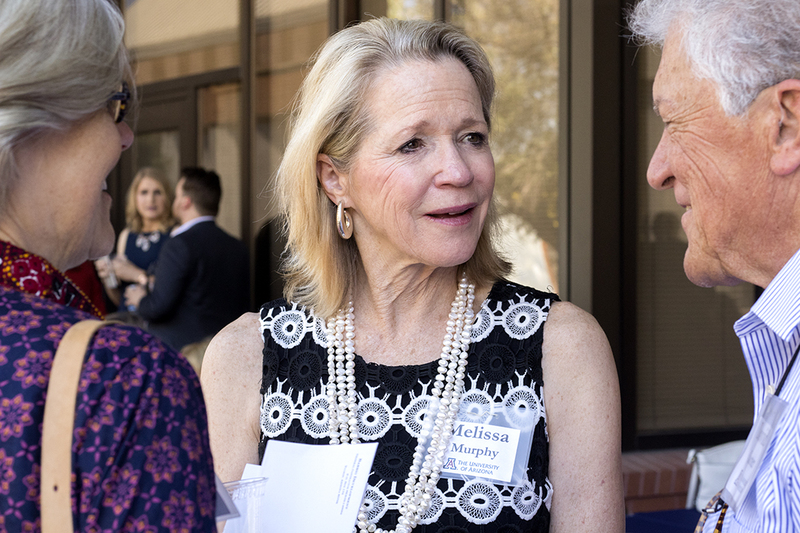 Other inductees include UA alums Gilbert H. Bailon ('81), Nancy J. Cleeland ('77), Richard H. Gilman ('72), Florence G. Graves ('76), Savannah C. Guthrie ('93), Jane R. Kay ('61), Lynne Olson ('69), Mort L. Rosenblum ('65), Frank O. Sotomayor ('66) and Bill Walsh ('84) — along with major supporters of the school, Hugh ('52) and Jan Harelson, and Donald and Lou Edith "Luda" Soldwedel. Carson, Martin, Miller, Walsh, and the Harelsons and Soldwedels were honored posthumously. “These champions of journalism have made the program what it is today, and they deserve to be honored for their incredible contributions," said David Cuillier, former director of the School of Journalism. "We are all better off because of their hard work and dedication." The class of 16 was honored at a brunch and induction ceremony at UA's Center for Creative Photography. 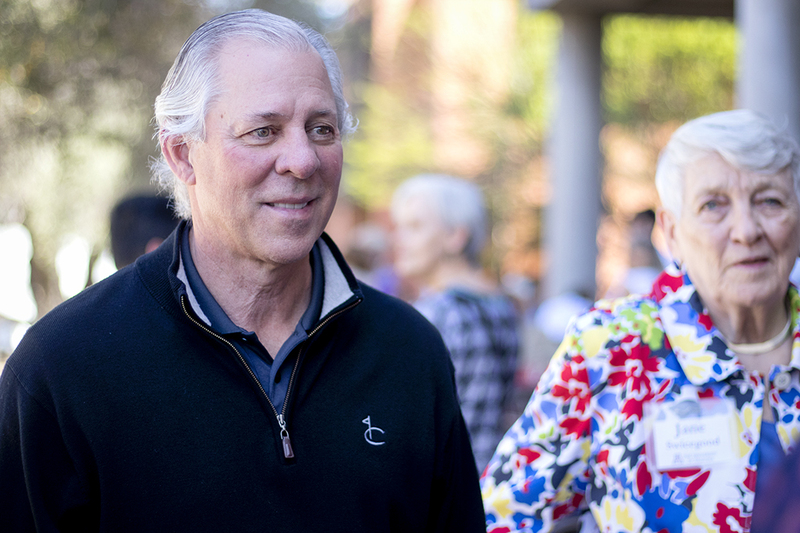 Nearly 200 people attended, including UA President Robert Robbins. To honor inductees, supporters can donate to the school's general gift or scholarship funds, or through special funds established in their names. Click on the honorees' names below for full bios, and read the program here. 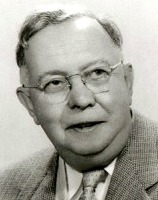 The school’s third director, Miller helped the department become accredited for the first time and received national acclaim when Esquire magazine included him among 33 of the nation’s “super-profs.” Miller, who came to the UA from The New York Times, advised the Arizona Daily Wildcat and died in 1968 at age 57 after contracting infectious hepatitis in Turkey while serving as a Fulbright lecturer. 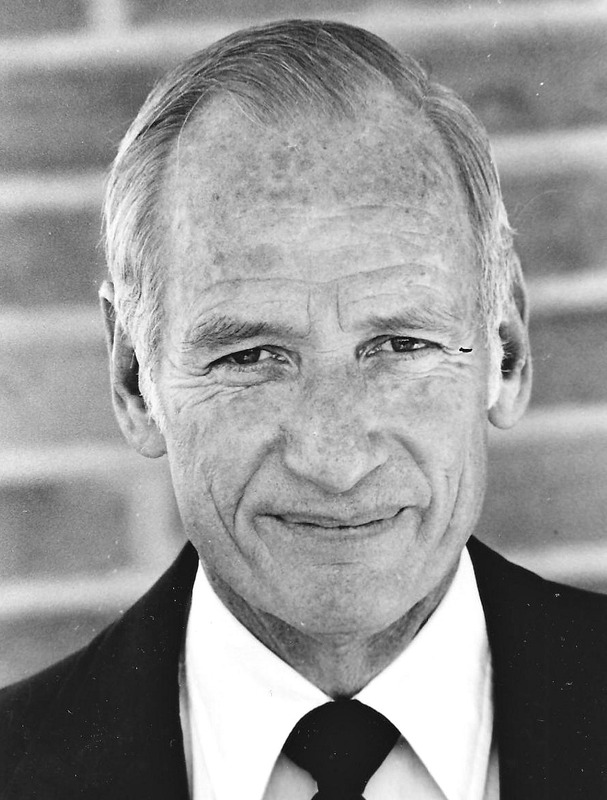 After a career at the Arizona Daily Star and The Associated Press, the 1954 UA grad returned in 1966 as a professor and served as director from 1978 to 1985. In addition to inspiring students, he coached Arizona newspapers on their news reporting and was honored by the National Association of Hispanic Journalists for “unprecedented contributions” to the industry in the area of diversity. He retired in 1997. The endowed Don Carson Concerned Media Professionals fund provides assistance to minority students. He died Feb. 1, 2018. Click here to read his obit and remembrances. The 1981 UA graduate is editor of the St. Louis Post-Dispatch, where he oversaw coverage of the Ferguson riots that won the newspaper the 2015 Pulitzer Prize for breaking news photography. He was named the Benjamin C. Bradlee Editor of the Year in 2014 by the National Press Foundation. 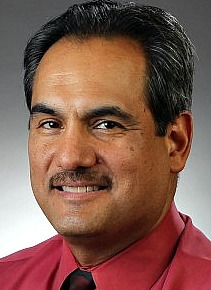 Bailon, former executive editor of the Dallas Morning News, served as president of the National Association of Hispanic Journalists and on the board of the Maynard Institute for Journalism. He is a member of the Arizona Daily Wildcat Hall of Fame. 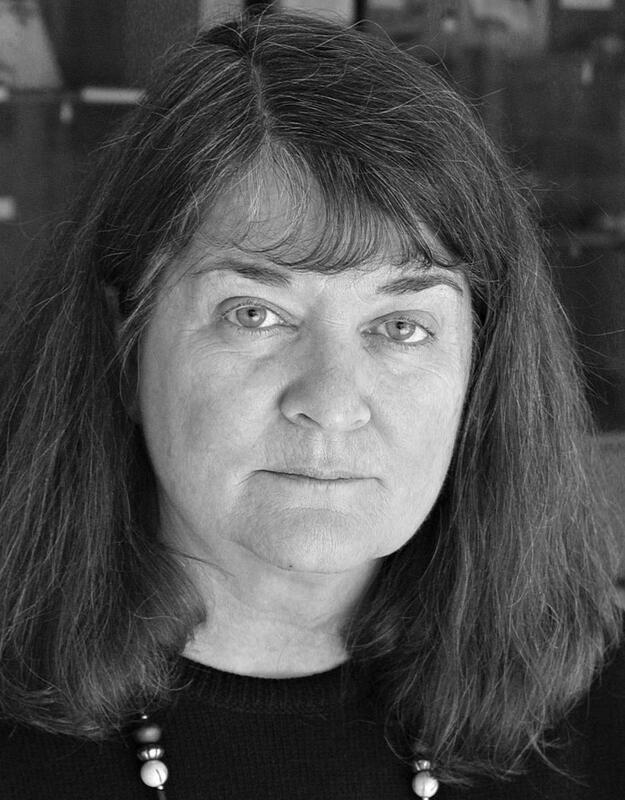 The 1977 UA graduate was the Los Angeles Times’ lead reporter-writer on “The Walmart Effect” series that won the 2004 Pulitzer Prize and George Polk Award in national reporting for detailing how Walmart’s drive for lower retail prices had impacted international labor practices. She also covered immigration, labor and trade at the San Diego Union-Tribune. She is deputy director of communications at OSHA in the Department of Labor. 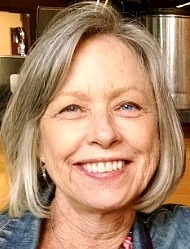 The 1972 UA grad was publisher of The Boston Globe from 1999 to 2006. 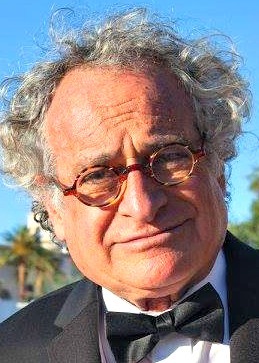 Under his leadership, the newspaper won three Pulitzer Prizes, including for its investigation into sexual abuse by Roman Catholic priests in the Boston Archdiocese, later portrayed in the Oscar-winning film “Spotlight.” Building on national writing awards he won as a student, Gilman became a reporter and assistant managing editor at the Arizona Daily Star and held numerous senior positions at The New York Times Co. The endowed Richard Gilman Scholarship Fund supports outstanding journalism students. Co-anchor of NBC’s “Today" show, the 1993 alumna has a Georgetown University law degree, covered the White House for NBC News from 2008 to 2011 and is a former KVOA 4 anchor in Tucson. 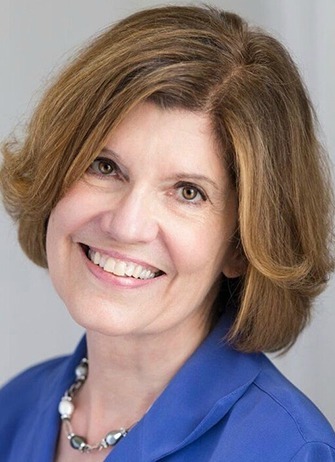 In 2017, she received the Matrix Award in New York as one of the top women in communications. She also is the author of "Princesses Wear Pants," which reached No. 1 on the New York Times' Children's Best Seller List. The 1966 UA graduate, a former Los Angeles Times editor, co-led a Times series on Latinos that won the 1984 Pulitzer Prize for Public Service. 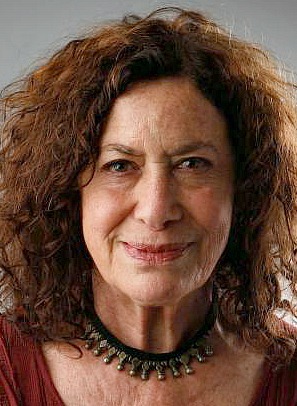 Sotomayor, chair of the school’s Advisory Council, played a key role in saving the journalism program from elimination in 1994. 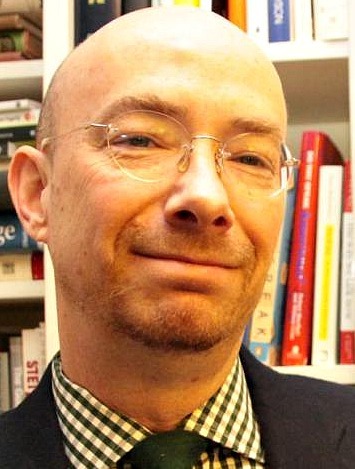 He is a former associate director for the Institute for Justice and Journalism at USC Annenberg and a Nieman fellow. An early advocate for news media diversity, he co-founded the Robert C. Maynard Institute for Journalism Education and CCNMA: Latino Journalists of California. The inductees were among dozens nominated for the inaugural class. The other candidates will automatically be considered for the next class. To submit a nomination, describe in no more than 350 words why the candidate is a worthy for the Hall of Fame and email the letter to Outreach coordinator Mike Chesnick at mchesnick1@email.arizona.edu or mail to UA School of Journalism/P.O. Box 210158B/Tucson, AZ 85721-0158.